So many times I have come across the same issue with new Clients; once they have worked through all their referrals / cross-selling opportunities they find themselves with no New Business opportunities to work on. Which is the worst thing they can do. It only leads to desperation selling, huge price discounts and an eroding of Client relationships as they keep trying to squeeze more and more business out of their existing customers. What is the solution? Keep New Business Development activities first and foremost at all times. Regardless of how busy they may be with implementations, at some point they’re going to complete those activities and, if they ignore the Sales Pipeline, they will end up with having no New Prospects on the horizon. Businesses must understand and accept that New Business Development takes time. There are no ‘shortcuts’. They cannot just pick up the phone and start randomly dialing. And beware of being sucked into ‘magic fixes’ for drumming up new business. Please see my article; “Sales Automation is Not a Stand Alone Solution”, http://bit.ly/2sXbsTu. Do you fully understand the business challenges that your product / solution solves? Can you put together a list of potential companies that may be experiencing this ‘pain’? Do you have Case Studies / Testimonials / White Papers to back this up? Do you have or can you create messaging to use in your Approach to Prospective Clients that asks if they have issues in this area? Do you have industry studies to quote from that back up your assumption? Do you have a person dedicated (a ‘Hunter’) to pursuing New Business Development activities for you? This is a long process, do not fool yourself. 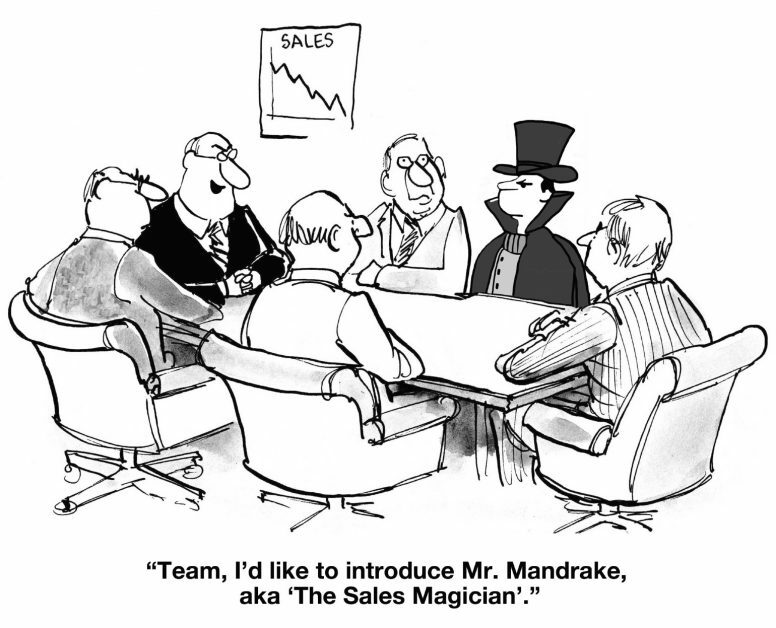 Please refer to my previous post, ‘Welcome to the New World of Sales’; http://bit.ly/2sPWSNe. And one in which a straight commission arrangement is completely inappropriate due to the length of the New, Modern Sales Process, the heightened level of risk that goes hand-in-hand with lengthy cycles, and the Senior level of skill required by the Sales Person to keep the Process moving forward and on track to a successful conclusion. Do you have a grasp on how long your actual Sales Cycles are? Not just the Prospecting Cycle, but the actual Sales Cycle from initial contact through to implementation. If it is, say 8 months, and you run out of New Business opportunities, can your company stay afloat for another 8 months before you have New Business to work on? If you answered ‘no’ to any of these questions, and would like to investigate the benefits further and take a fresh approach in approaching your New Business Development efforts, now may be the time to consider outsourcing this function to a company that has extensive experience in determining what is needed to build a ‘real’ Sales Pipeline, and can provide the correct Resources to do this. We have access to an extensive network of Professional Sales People to draw from and will effectively align their skills and experience with your requirements and coach you on how best to support their efforts by providing Subject Matter Experts when required in the Sales Cycle. We will assist you in creating a seamless, successful New Business Development Sales Cycle.